If you've ever Googled "Things to do in Pemberton" (or even if you haven't) this post is for you. And if you haven't, you should. Pemberton, BC is bursting with incredible things to do from outdoor adventures on land, on water and even in the sky, to tasty farm-to-table food from the valley meadows and a backdrop to rival that of the Alps. Pemberton, BC is a small village municipality, 33km north of the famous Whistler, BC, with a population of less than 3000 people. 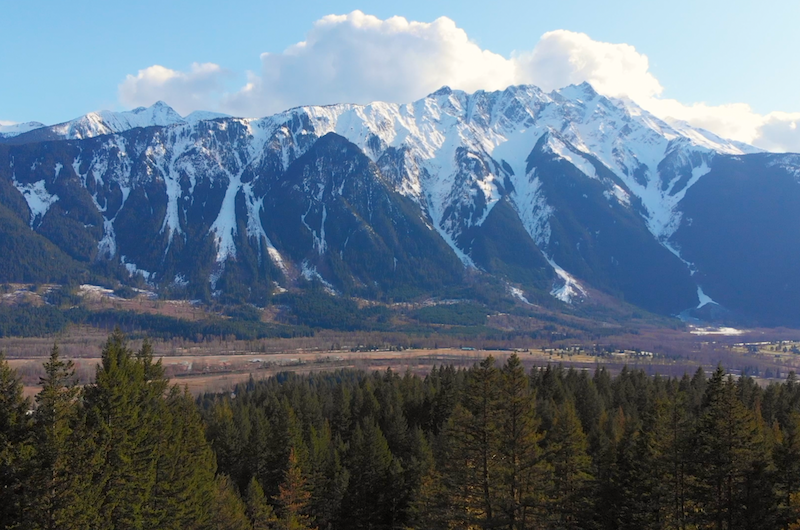 The main village centre is nestled at the based of Mt Currie a spectacular mountain that has been featured in numerous Hollywood movies and TV shows. Fun fact about Pemberton, is this small town could only be reached by rail until as late as the 1960's! Weather in Pemberton in the summer is fantastic. The seasonal average from June - September is between 22ºC (71.6f) and 27ºC (80.6f). Check out the Pemberton Tourism website for current Pemberton weather and daily forecasts. The route to Pemberton is a simple one. Even if you're travelling from Vancouver, you just hop on the Sea To Sky Highway north (Highway 99) and follow your nose. The highway passes through Squamish, Whistler, Pemberton, and then continues on to Lillooet. It's a real easy drive but don't let that lead you to think it's a boring one. Oh no! The Sea To Sky Highway is one of the top 10 scenic drive in the world. And almost every other berry you can think of! North Arm Farm is a year-round working farm and all summer long they grow and harvest delicious fruits and vegetables from their fields next to the Lilooet River at the base of Mount Currie. With a combined knowledge of over 100 years fishing in Pemberton lakes, rivers and streams, Brad Knowles and his guides at Pemberton Fish Finder are known around here as the people to see if you want to catch fish. The Pemberton area is home to incredible species of fish including rainbow trout, Dolly Varden char, cutthroat trout, steelhead, whitefish, and five species of salmon. Slow Food Cycle Sunday started in 2005 as a dream by local farmers to "connect city folk to their food". Over a decade later it has become a staple must-do-activity for foodies, families, and visitors to Pemberton and Whistler. Slow Food Cycle Sunday is a 45 kilometer / 28 mile cycle up and down the famous Pemberton Meadows Road. Choose your own pace stopping along the way to sample local food vendors, visits farms, and buy items from Pemberton's wonderful artists. Of course we had to squeeze ourselves on this list! Copper Cayuse Outfitters is the premier guided horse riding company in British Columbia’s Sea to Sky Corridor. We provide hourly horseback rides in Pemberton, full and half-day horseback rides in Pemberton and the Birkenhead Lake backcountry, as well as incredible overnight horseback rides into the wilderness areas of Tenquille Lake and the Callaghan Valley. We can also design custom horseback rides to almost anywhere you want to go. We have rides and expeditions to fit every adventurer, from beginners and families to experienced outdoors people. It is about you and the horses. We look forward to meeting you on one of our many rides! Established in 1966, Nairn Falls Provincial Park was created to protect a very special spiritual site for the Lil’wat Nation. A site of natural and cultural history, Nairn Falls is a wonderful example of dramatic example of the erosive power of water. Look for “potholes” created in the rocks as the water spins trapped particles in ever-deepening circles. Nairn Falls offers camping and a short walk to a spectacular gorge waterfall. From Nairn Falls there is also a trail that connects to Mile One Lake for more walking and swimming. Paragliding is the recreational and competitive adventure sport of flying paragliders. Lightweight, free-flying, and foot-launched, the pilot sits in a harness suspended below a fabric wing (similar to a parachute) made of a large number of interconnected baffled cells. Despite not using an engine, paraglider flights over Pemberton, BC can last one or two hours and cover tens of kilometers of jaw-dropping scenery. Sea to Sky Paragliding provides tandem flights, instruction, guiding and tours in the Sea to Sky Region. Mile One's motto is "Get Well Fed" and they never disappoint. 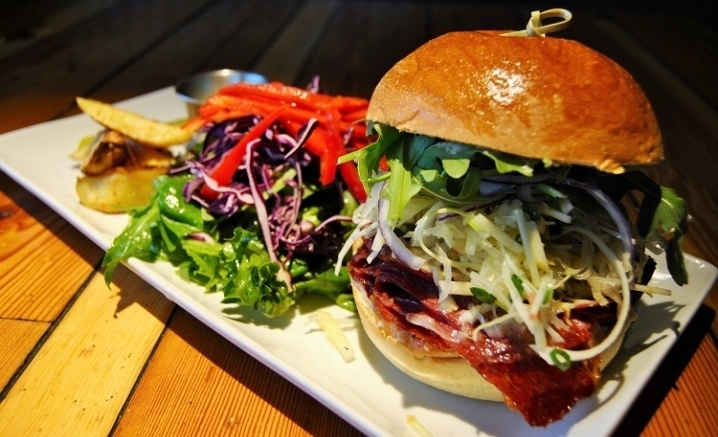 Known for their huge burgers stuffed full of seasonal veggies and local meats, hearty salads, and outrageous (and gourmet) mac and cheese menu, Mile One is the place to fill up after an exciting and energenic day of exploring the Pemberton wilderness. This local's favourite will often have line-ups out the door on a sunny Sunday evening as hikers, bikers, and hungry adventurers all meet here for good food and craft beer. We recommended getting there early if you're hungry! What are your favourite things to do in Pemberton in the summer? There is so much to do in Pemberton in the summer, and this is just a taster of what we and our guests love to see, do, and eat. If there is something that you'd like us to include on our list please let us know by leaving a comment on one of our social media channels.